Our Colorful Cross Large Medals make great Sunday School awards! 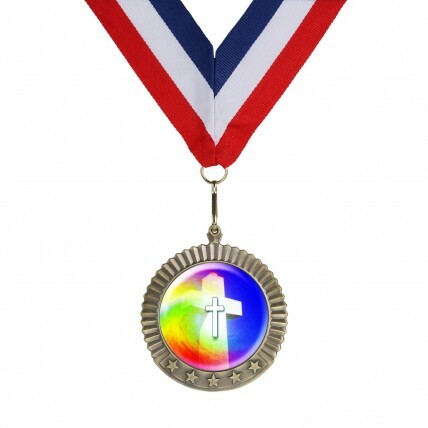 Made of metal, these 2.75 inch medallions feature an insert of a full-color cross against a rainbow background. 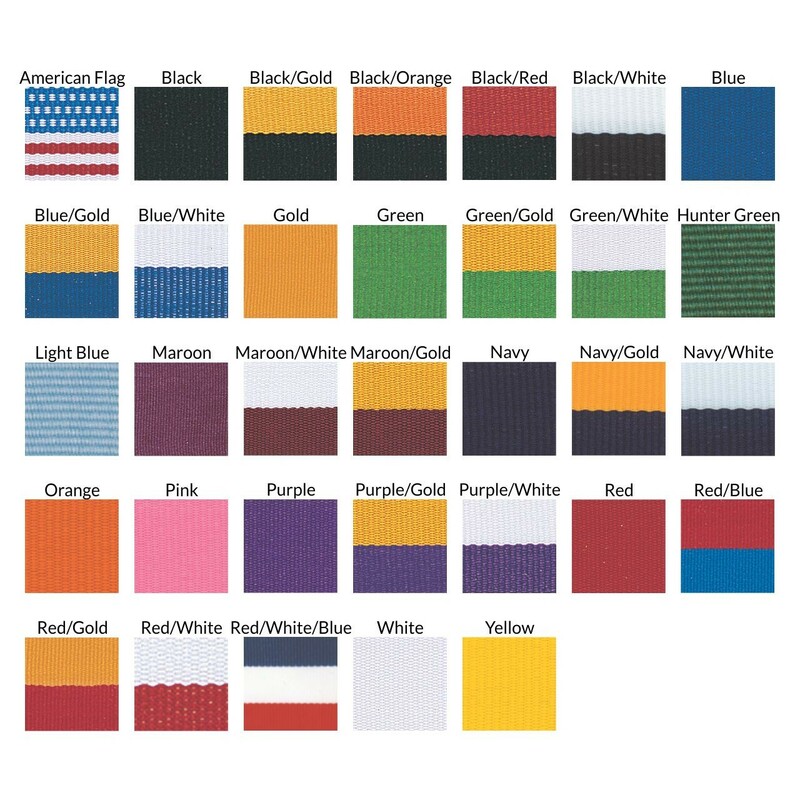 Available in gold, silver or bronze metal with your choice of neck drape color.